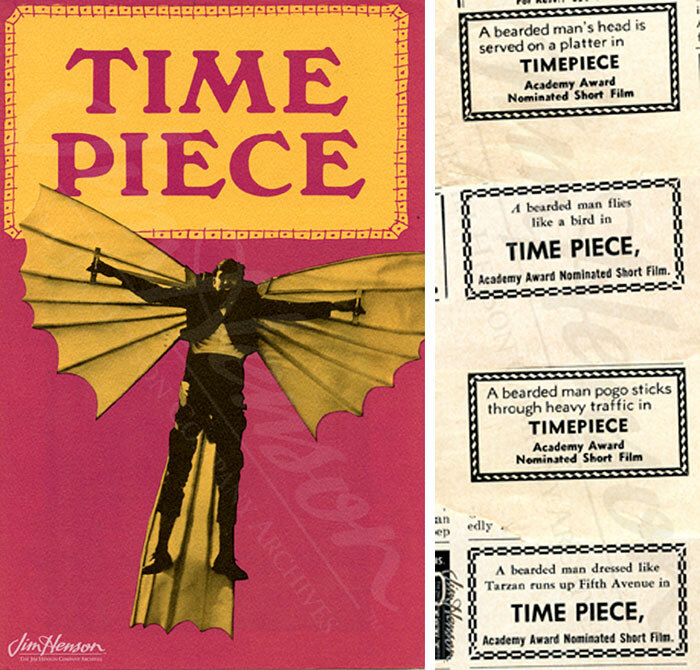 Jim Henson's fabulously experimental surrealist film Time Piece contains no Muppets, but stars the filmmaker engaging in a variety of bizarre activities. In this excerpt, Henson paints an elephant pink, jumps off a diving board in a top hat and tails, and rides a pogo stick in a gorilla suit. The film is available in its entirety in the iTunes store. An original promotional image for the film and ads in Variety, via Skylar Challand at IDSGN. For more videos from the Jim Henson Company, visit http://henson.com/.